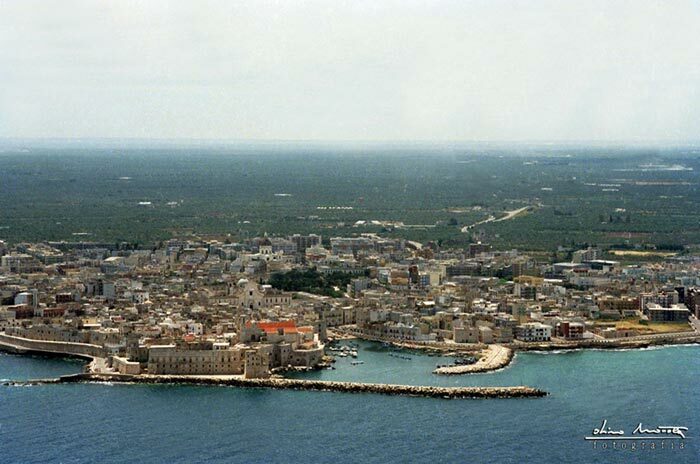 Giovinazzo is a coastal town in the Province of Bari. The history of this place is clearly visible on the monuments and the in the piazzas for everyone to see in the town and in the countryside. Starting from Piazza Vittorio Emanuele and heading towards the right-hand side of Palazzo Comunale you will find yourself in Piazzetta Umberto I with the Palazzo del Capitano del Popolo and the Trajan Arch, known as such due to the four mileposts built into it. 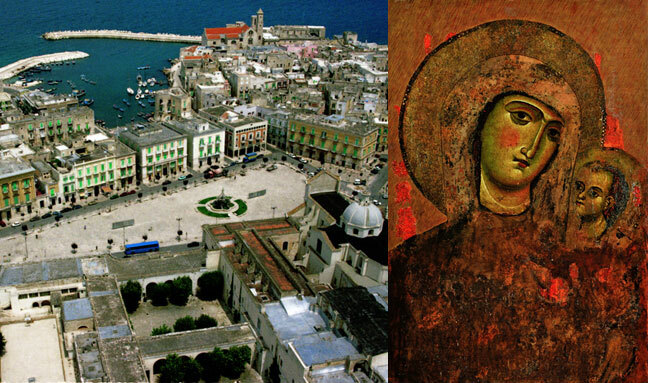 Once through the arch you come to Piazza Costantinopoli where you can see the 16th century Church of the Madonna di Costantinopoli. 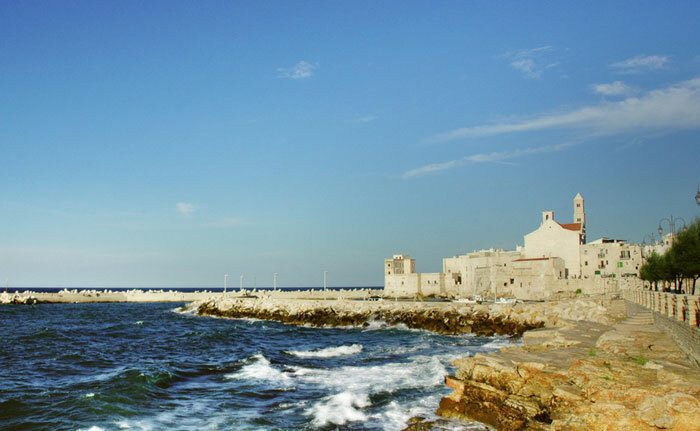 Proceeding along Via Cattedrale you will find Vico Freddo immediately on your right where recent restoration work has brought out the beauty of the14th century buildings, making this area one of the most beautiful in the old town centre. Returning to Via Cattedrale the last arch gives you a glimpse of the cathedral (12th century) that was demolished and partially rebuilt in 1747. The interior and especially the exterior of the cathedral have been substantially modified, from the outside the two parts of the building, Romanesque and baroque, are clearly evident. The Palazzo Ducale (1657) also stands in this piazza. 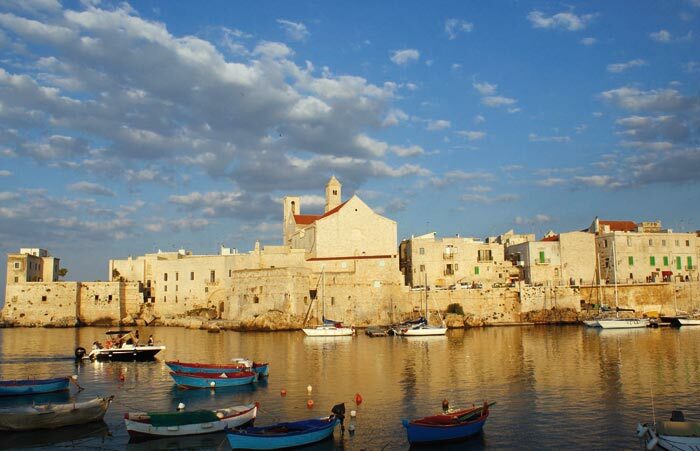 Proceeding along Via S. Giacomo you pass alongside Palazzo Lupis (13th century) and can see the remains of Palazzo Zurlo, followed by coming to the Church of S. Giovanni Battista with its Benedictine monastery (11th century). Passing through the arches and turning right from here along Via Spirito Santo will take you to the Church of the Spirito Santo, a beautiful late Romanesque building with an interesting roof: the hemispherical tops of the vaults are covered with pyramid like structures faced with “chiancarelle” in a similar manner to trulli. 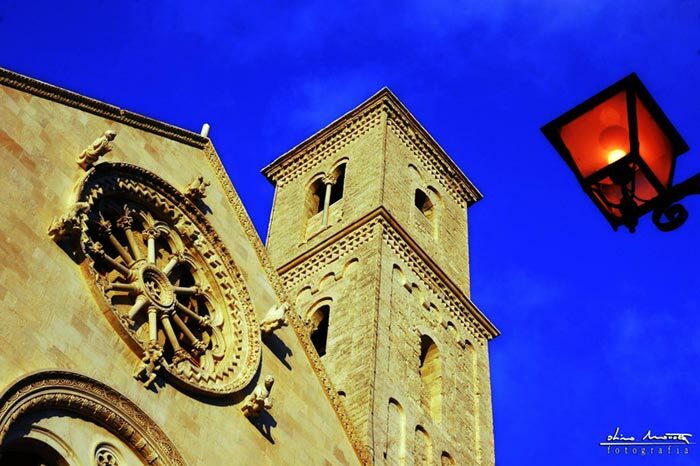 Passing through the arches and carrying on alongside Palazzo Griffi will take you to the small Church of S. Lorenzo (14th century). From here turning towards the left, you will find on your right the Corte De Ritiis, the most impressive building of its kind in the old town centre. Via Gelso takes you from here to Palazzo Saraceno and its Renaissance architecture. Turning into Via Madonna degli Angeli, just after the church of the same name, you can see on the right the Spinelli tower-house and its marvellous hanging garden. You can get a more complete view of Giovinazzi from the countryside, which is also scattered with many interesting elements. Amongst these is the dolmen, a megalithic tomb discovered in 1961, complete with tholos it dates back to the Bronze Age. La foto "Madonna con bambino"